You are looking for a gentle, but effective medicine, which triggers your body's natural powers of self healing? Homeopathy has proved itself in treating acute as well as chronic health problems. Being so gentle it is well suitable for infants and children, but just as well for adults, pregnant women, or elderly people. Homeopathy does not only treat the symptoms of diseases or ill parts of the body, but considers the entire human and addresses the root cause of a disease. So, homeopathy can be used for all kind of ailments of body and mind. It is important though, to respect the limits of homeopathy, because it cannot be an alternative to required surgical intervention or intensive care. Homeopathic remedies, however, can always be used additionally to conventional medicine. The principle of homeopathy says: ‘similia similibus curentur’ – ‘let likes be cured by likes’. Maybe you have already made the experience that the consumption of large amounts of coffee causes nervousness, shaking, sleeplessness, and irritability? Coffee (Coffea), however, applied as homeopathic remedy, leads to more calmness, balance and quiet sleep. All bodies react individually to a disease, which is the reason why homeopathy treats people with the same disease often totally different. 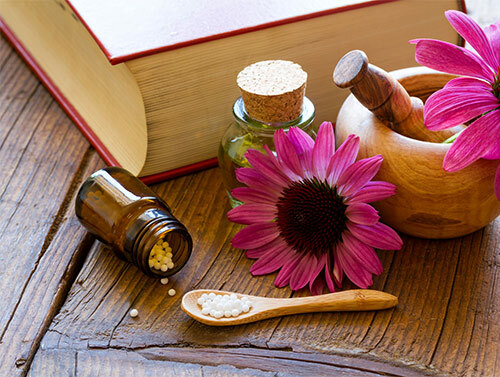 The homeopathy was found and established over 200 years ago by Dr. Samuel Hahnemann. Today, still many people are convinced by the healing power of homeopathy. - What are homeopathic remedies?